This is a sponsored post. All opinions are my own. Read my full disclosure. This is a sponsored post by Mattel™, but opinions are all my own. 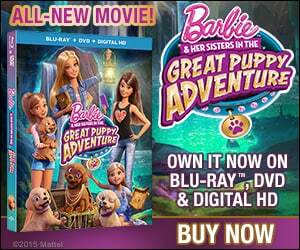 Barbie™ is starring in a new movie, Barbie™ & Her Sisters in the Great Puppy Adventure, this fall! My girls and I had the opportunity to preview the adorable movie this weekend. To make the party more fun, we baked these treasure map cupcakes! You’ll see just why we made treasure map cupcakes below. What could be more fun than treasure, puppies, adventure, Barbie™, and a cupcake treasure map? My girls were on the edge of their seats as Barbie™ and her little sisters searched for a buried treasure that could save their hometown. The movie was especially exciting for my 4 girls, since this movie is about Barbie™ and her 3 sisters. They could really identify with the family dynamics. In fact, since watching the movie my girls love pretending to be Barbie™, Skipper™, Stacie™, and Chelsea™ on their own treasure hunt! I love how the movie places so much importance on sisterhood, and each girl using her individual talents to aid in the search for treasure. The adorable talking puppies (and their equally adorable personalities) add to the adventure and fun. Puppies make everything better, right!? This is certainly a movie I will not mind allowing the girls to watch over and over again! Barbie™ & Her Sisters in the Great Puppy Adventure is now available in Digital HD on iTunes and will be available on DVD and Blu-ray™ October 27. 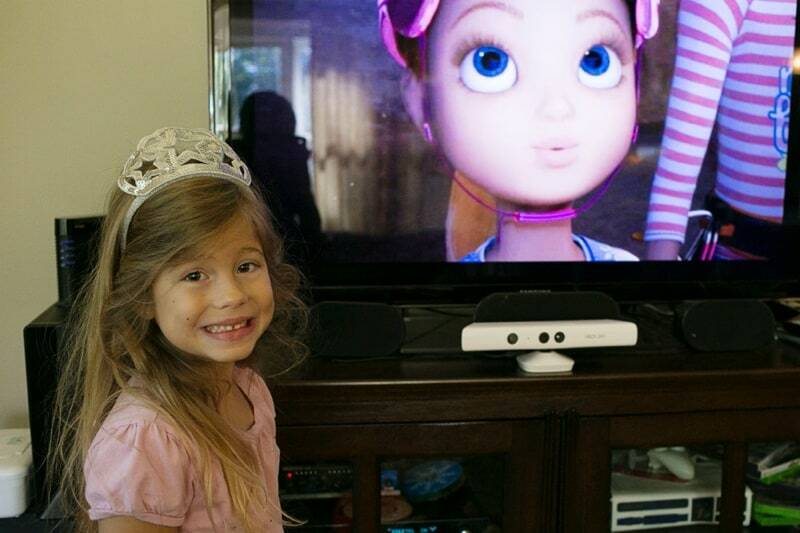 You can get the movie at Walmart, Amazon, Toys “R” Us, Target, or on iTunes and Amazon. 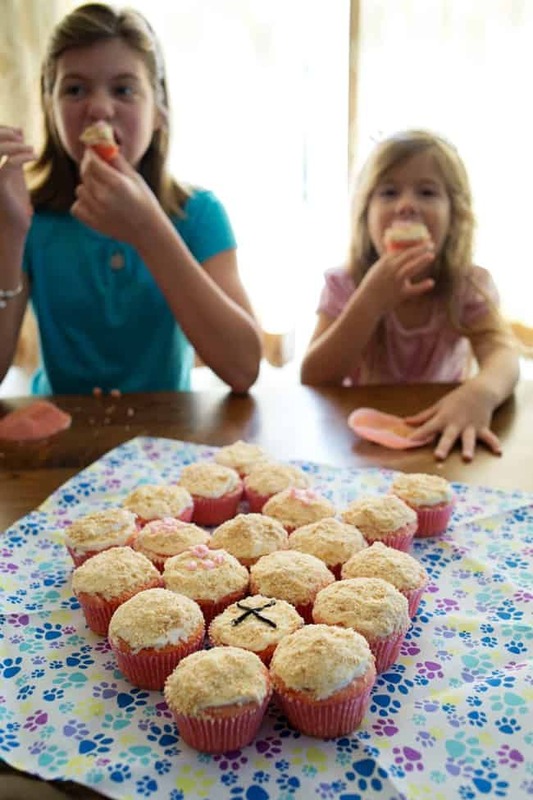 Make some Treasure Map Cupcakes and have a watch party with your daughters and their friends! 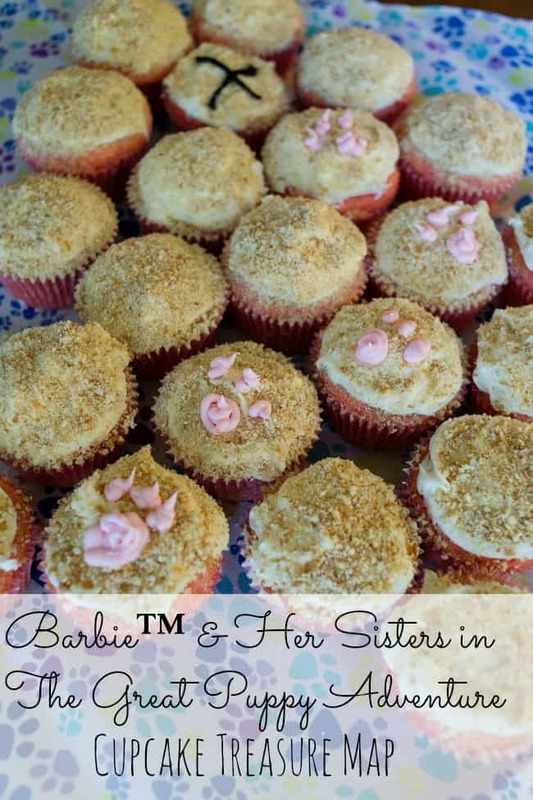 We created these fun Treasure Map Cupcakes for our Barbie & Her Sisters in the Great Puppy Adventure movie watch party. 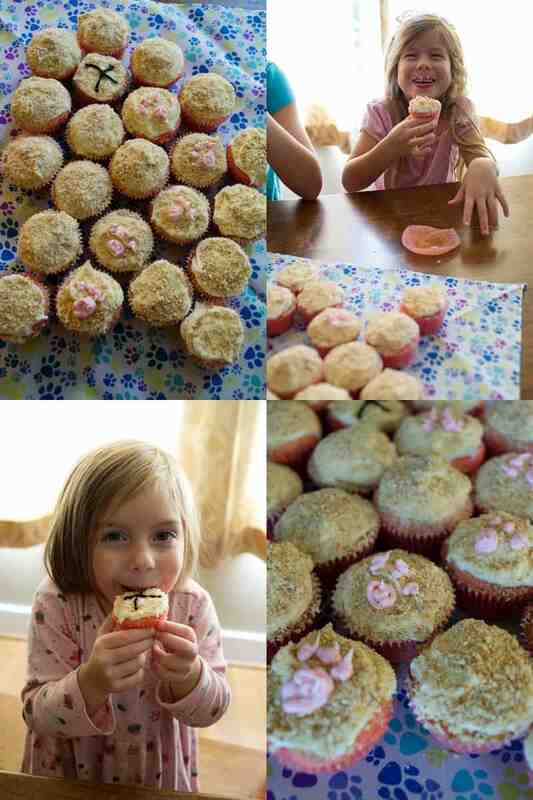 The Cupcake Treasure Map Cupcakes are super simple to create. Using the cake mix, follow the directions to make cupcakes. 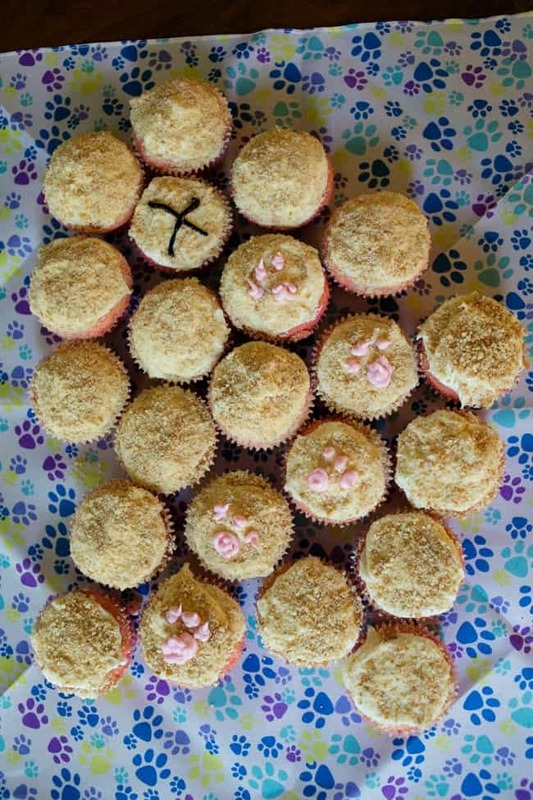 Sprinkle the top of the iced cupcakes with the vanilla wafer crumbs. Place the cupcakes in a rectangle. Use the black icing mark an ‘X’ on one cupcake.